I’ve been freelance for almost three years now. 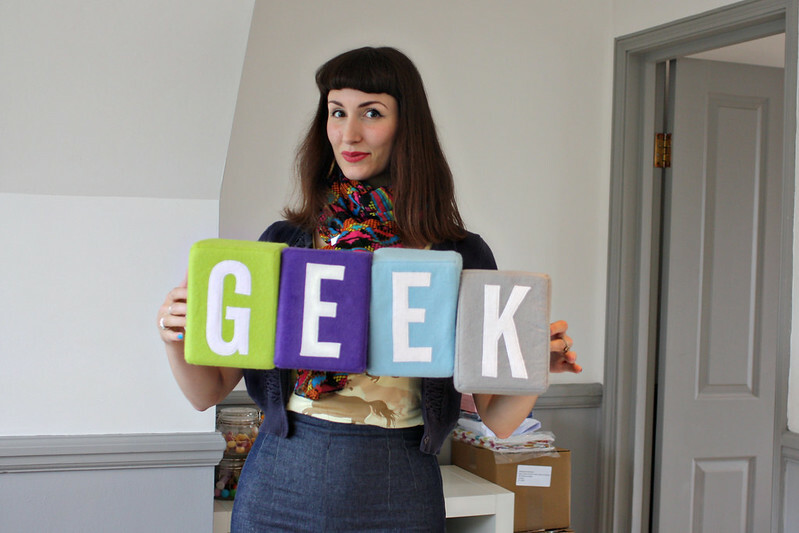 If you’ve ever browsed my Hire Me tab above, you’ll have seen the sorts of things I do to make my money, from writing work, to event design and management to occasional modelling. Mostly I enjoy it, sometimes, such as when I haven’t got any outstanding invoices and money is slowly trickling away; it can be stressful. Such was the case a couple of weeks ago, when I was starting to feel like I wasn’t making enough of myself, or helping enough people. You know. Standard 30 year old, third-of-life crisis. Anyway, as if by magic, a tweet came along, advertising an internship at A Very Good Company. Sounds Good, I thought, har de har! The internship was for the run-up to and duration of A Good Week, a national and international celebration of Good in all its forms, from charity work and volunteering, to saying ‘hello’ to a stranger or thanking your friends for being so fabulous. It’s much broader than that, of course, but if you have a poke around on the website, should you be interested, you’ll find out more. Anyway, it’s only been a short time, but the social aspect of being in an office, interacting with people (instead of dragging my carcass into the living room and speaking only to cats for day on end), has been wonderful! I’m in the heart of the East End, right by Brick Lane, it’s challenging work but fun, and I think it might be the start of a bigger change in my life – or rather making a difference in other people’s… however small. I’ll be posting bits and bobs about my work at A Good Week, depending on whether I think you’ll be interested (or I’m wearing a good outfit, you know, often one and the same in my life! ), but I am really enjoying myself. Which is quite Good really! Some jazzy scarf I got free at the Company Blog Awards! Plus my Liberty x Nike AM1s which you can hardly see. Hope you’re all having a good week yourselves! I hate hate hate trainers. With an almighty passion. And then you go and look good in them… Gah! Sounds really interesting! Love that outfit too. Blessed are the geeks, for the geeks shall inherit the earth. You can´t be cool and on fire at the same time. Long live the geeks! Sounds like a great opportunity. Love the outfit! 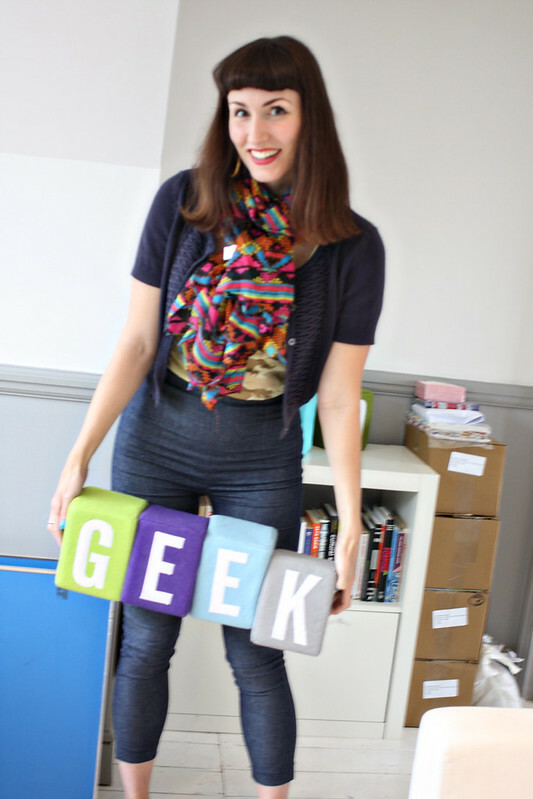 You make one good looking geek! The internship sounds very exciting, I am happy you got this oppertunity! I love this outfit and these photos! Isn't it interesting how life works that way! Whenever you think you've hit a dead end, a new opportunity presence itself. I feel like I'm very much in the same boat as you. I work as a freelance writer, stylist and until recently ran an online vintage store (now I just do occasional pop up shops around town and special events) but some weeks you do wonder how you're going to pay the bills. Your internship sounds fantastic, I'm sure it's going to lead to new and exciting things. I hope you have fun – doing an internship really changed my life. Also that outfit is great, and looks very much like what I wore when I was interning! Good luck (har de har) to you. Please do post more about this – it sounds fascinating. 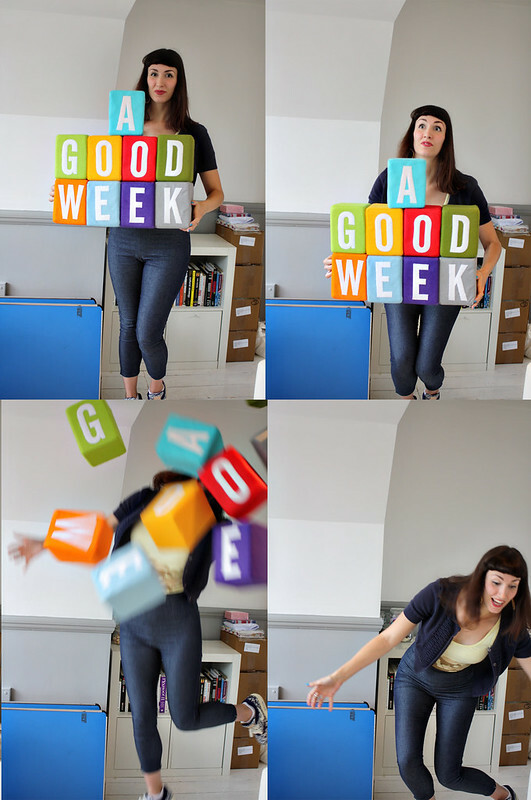 Especially if you get to take more photos with alphabet blocks…! So glad you found something that is inspiring and interesting! I have to say my journey back into full time work in an office has not been as traumatic as I imagined and that regular paycheck helps a LOT! I'm sure you get requests like this all the time, so apologises – but with the nature of you 'Good Work' internship, I thought it might be appropiate! A few members of the Trust prayed with us today at a fundraising event for a miracle…now I don't believe in God, but I do believe in the good of people, so I wonder if you could post our 'Just Giving' link to your page? A bit of extra publicity could really help! You look lovely in that oufit – really quite different from the look you might normally sport, but it suits you just as well. I want to work in a place with alphabet blocks! Lucky! Like the outfit, I want some of those alphabet blocks! Sounds like a really interesting opportunity. I think I'm having a third-of-life crisis at the moment, keep hoping for light bulb moments but I'm more energy saver than tungsten filament right now!